First County Bank is the title sponsor for Weed Beach Opening Day, scheduled for Saturday, June 2, from 10 a.m. to 2 p.m., followed by a live concert by the Darien High School Jazz Ensemble at 5:30 p.m.
Other planned activities include children's crafts, paddle and sail boat demonstrations and a kids' concert with local talent Dre Towey with Sugar on Top band at 1 p.m. The first 300 children who sign in on opening day will each receive a goodie bag consisting of a First County Bank pail and a shovel, yummy treats and other fun items for children. "The Town of Darien and the Parks and Recreation Office would like to thank First County Bank for its generous donation and support of Weed Beach Family Fun Day," Susan Daly, co-chairman of the Weed Beach Opening Day Committee, said. "A lot of time and effort has gone into improving the facilities here and we are grateful to all the volunteers and sponsors who will make opening day so enjoyable for our residents." Weed Beach encompasses 22 acres off Nearwater Lane, just off Rte. 1. Weed Beach has been undergoing extensive renovations since last year. In addition to an existing nautical-themed playground with swings and water play features, by opening day a new bathhouse with changing rooms and concession stand will have been completed. A new paddle tennis operations building with restrooms and a new deck and fire pit will be enjoyed by all throughout the year. New sidewalks, a greener parking area and much more landscaping throughout the park, will make the beach going experience a lot more pleasurable. 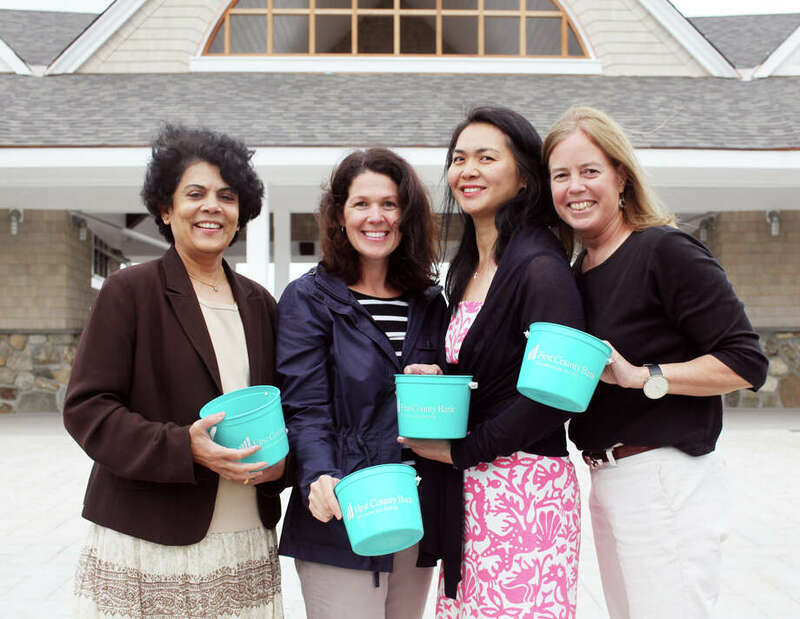 "Darien beaches are one of the key attractions to the town and First County Bank wanted to be part of this year's opening celebrations at Weed Beach. We look forward to seeing all those smiling faces as they join their neighbors at this newly renovated facility," Kathy Harris, First County Bank president and chief operating officer, said. "First County has been a part of Darien since 1961. Our branch at 1006 Post Road has attracted a lot of business because of its convenient location and because the people of Darien are so supportive of local businesses. This sponsorship is a small token of our appreciation." First County Bank, headquartered in Stamford, Conn. for more than 160 years, is an independent mutual community bank with 15 branches in Stamford, Greenwich, Darien, New Canaan, Norwalk and Westport offering deposit products, mortgages, trust and investment services, business banking services and online banking. First County Bank has more than 220 employees and assets in excess of $1.3 billion. For additional information, visit www.firstcountybank.com. 5:30 p.m. Darien High School Jazz Ensemble and BYOB.